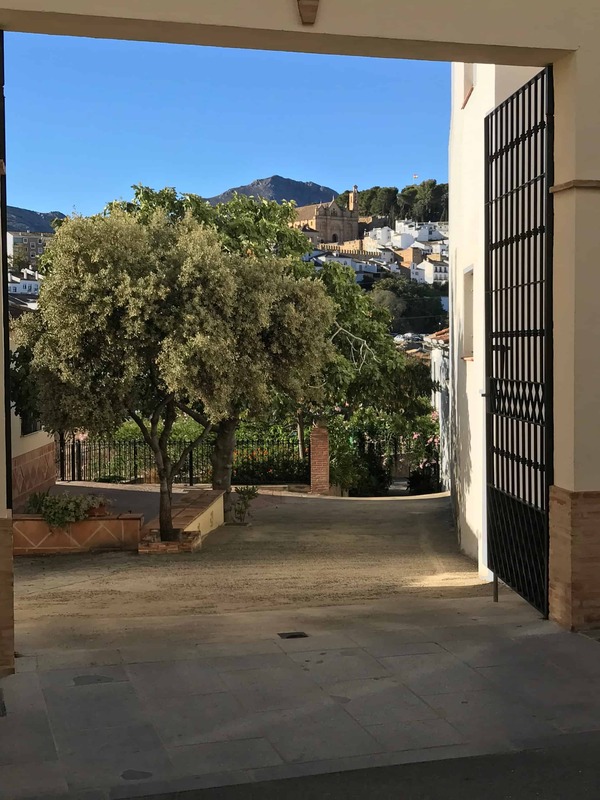 Although nicknamed El Corazón de Andalucía – The Heart of Andalusia – because of its central location between Granada, Córdoba, Seville and Málaga (all of which are between an hour and 90 minutes away) Antequera is often overlooked as a destination in its own right. Yet it has plenty to offer, including UNESCO-protected monuments, superb rustic Andalusian food and a beautiful old town. Even better, its elegant streets are largely devoid of tourists, leaving you free to explore in peace and quiet. Antequera is a key destination on the Camino Mozárabe walking tours offered by Toma & Coe (“Mozárabe” is the name given to the ways to Santiago de Compostela that start in Andalusia). Just last week, a group of T&C pilgrims passed through this historic town bound for Córdoba, from where the walkers joined the Via de Plata at Mérida on their way to Salamanca (Córdoba-Salamanca is Part Two of the camino; Part One runs from Málaga to Córdoba; and next year, T&C introduces the third and final section, from Salamanca to Santiago de Compostela. Each is an eight-night tour). 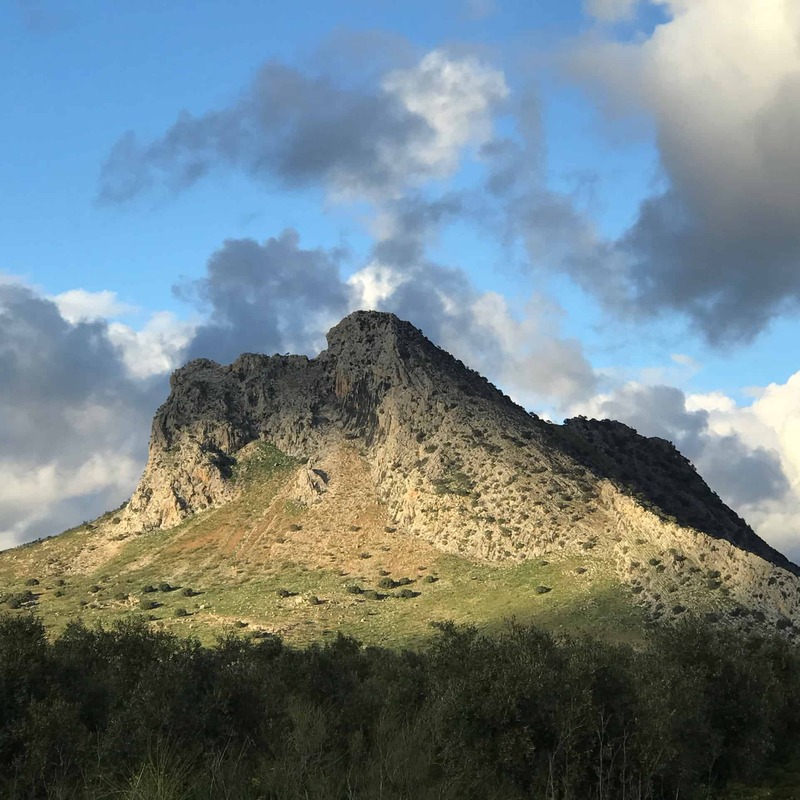 Whether you’re approaching Antequera from north, south, east or west, a myth-laden natural feature tells you that you’re almost there. Rearing up out of the flat landscape surrounding the city is a limestone mountain known as the Peña de los Enamorados (Lovers’ Rock). Rising to a height of 880 metres above sea level, the mountain derives its name from local legend, according to which a pair of Moorish lovers from rival dynasties threw themselves off its peak, thereby avoiding their families’ disapproval. In another version of this centuries-old tale, the young lady provoked familial outrage by favouring her father’s Christian slave. Seen on the eastern approach from Granada, the tragic lovers’ suicide spot looks like a sleeping American Indian. 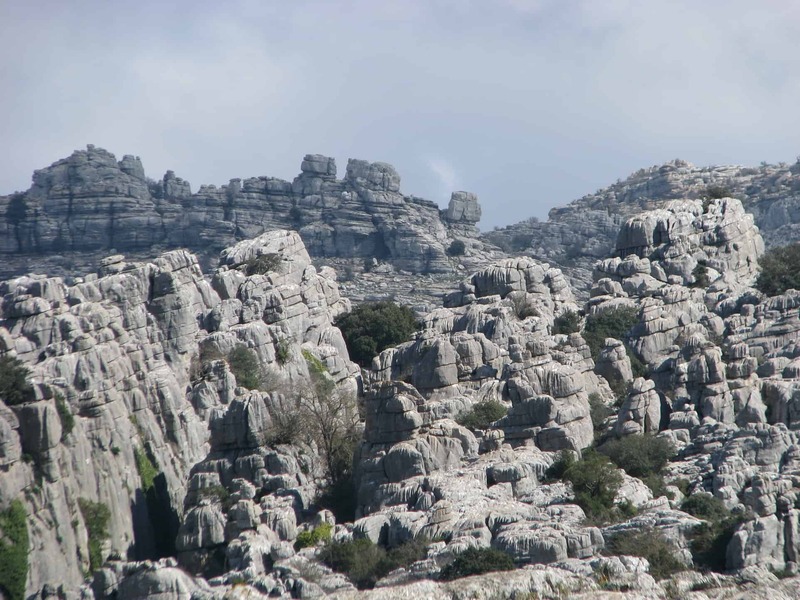 The area’s other outstanding natural feature is the EL Torcal national park, which lies about 16km south of the city: once at the bottom of a marina corridor that stretched from Cádiz to Alicante, the rocks of Torcal look as if they’ve been precariously stacked on top of one another (you want to try and push them over). These bizarre limestone formations were around 150 million years old and form the most important “karst” landscape in Europe. 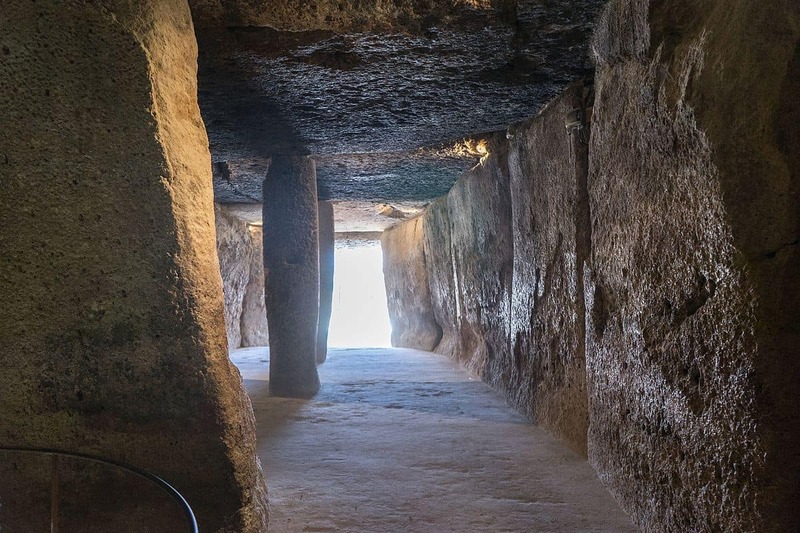 Antequera’s megalithic burial grounds – the Dolmens of Menga and Viera and the Tholos of El Romeral – were designated as World Heritage sites by UNESCO in July 2016. The spooky and cavernous Dolmen of Menga dates from the third century B.C., when it was likely built as a tomb for prominent local families: at 25 metres in length and four metres in height, it is one of Europe’s largest megalithic burial chambers. Menga’s heftiest supporting stone (megalith) is estimated to weigh 180 tons, making you wonder at the efforts required to build it in a pre-crane age. Uniquely for such structures in Continental Europe, Menga was orientated to face the Peña de los Enamorados, rather than a celestial occurrence such as sunrise on the equinox. The smaller Dolmen of Viera – named after local brothers Antonio and José, who discovered it at the beginning of the 20th century – is found just 70 metres meters away from Menga, whilst the Tholos of El Romeral lies a couple of kilometres north-east of Antequera and dates from around 180 B.C. As fascinating as all this is, a visit to the Heart of Andalusia is not just about millennia-old burial sites and rugged landscapes: the city of Antequera itself is beautiful. At the heart of the gorgeous old town are Alameda de Andalucía and Calle Infante Don Fernando (named after the prince who wrenched Antequera from the Moors in 1410), both stately thoroughfares lined with boutique shops, tapas joints and irresistible pastry shops. The Alameda leads up to the elegant mid-19th century bullring or Plaza de Toros, where Spain’s top toreros perform during the town’s spring and summer ferias, in June and August respectively. The in-house eatery, Restaurante Plaza de Toros, actually has tables out on the sand (except for when the bulls are in town, naturally) and leaning over the bullring’s Arabic-style roof – as if to see down into the arena – are the trees of the Corazón de Maria park, a lovely spot for shaded strolls on summer days. Antequera is sometimes also referred to as the “Florence of Andalusia” for its many Renaissance and Baroque churches, the most iconic of which is the 15th century Iglesia San Sebastian. Perched atop the city’s highest point, meanwhile, is a monument from a different era: the town’s compact and muscular Moorish castle served to keep Christian armies at bay for three centuries, before they finally captured Antequera in 1410 under the leadership of Ferdinand I. And then there’s the food. Up until recently, Antequera wasn’t known for the quality of its Andalusian cuisine, but that’s changing. 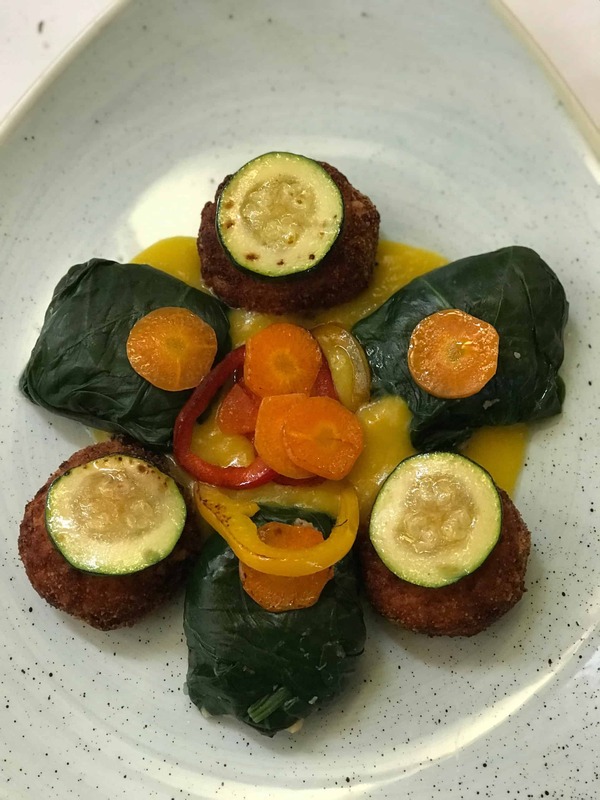 Powering the town’s emergence as a foodie destination is Arte de Cozina, where walkers on Part One of the T&C Camino Mozarabe are lucky enough to dine (it’s the perfect place to eat after a long day’s walking). Here, Chef Charo Carmona has created a menu from ancient local recipes, lovingly reincarnated and reinvented in a kitchen that looks out into the rustic dining room. The results – especially in the hearty broths and stews – are explosively and powerfully delicious. Antequera’s nickname, then, is apt – and not just because of the town’s proximity to more frequently-visited destinations. It’s becoming less of a convenient junction on the roads between Málaga and Córdoba, Granada and Seville, and more of a place in which to linger and enjoy history, architecture and unforgettable food. Rightly so.